Miscellaneous Uproar, an exhibition of new paintings by Fort Worth artistHarmony Padgett, will be on display January 28 through March 12 at William Campbell Contemporary Art. An opening reception will be held Thursday, January 28, from 6:00 to 8:00 p.m. The show will include more than a dozen new paintings that explore a progression of emotions through the artist’s lens of total abstraction.Padgett’s vivid gestures denote bursts of action in layers of pigment and ink, creating a conversation between the planned and unexpected, tailored and organic elements of everyday life. Miscellaneous Uproar marks Padgett’s first solo show at the gallery. 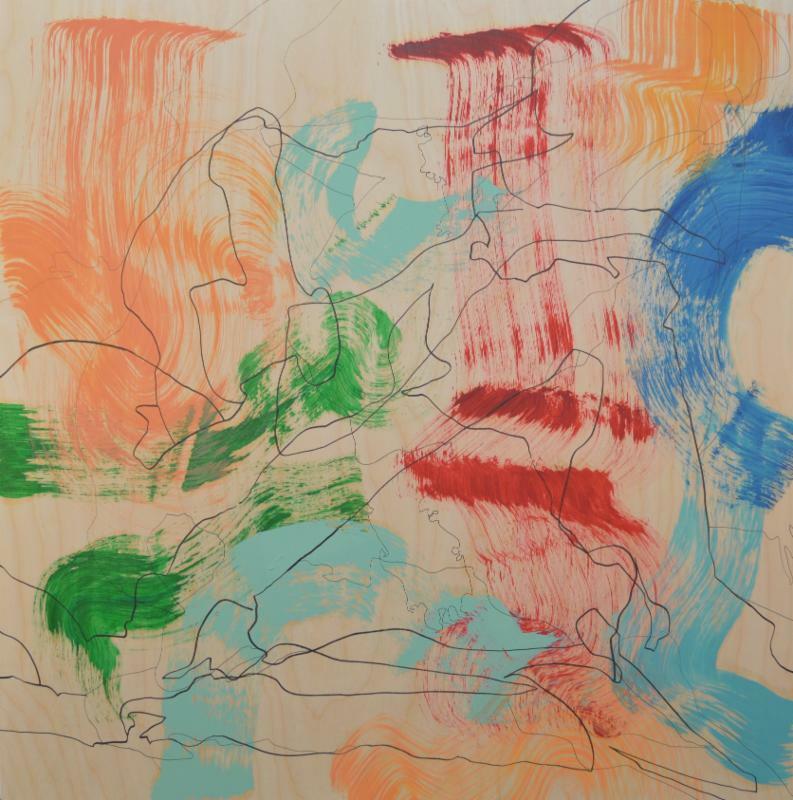 Padgett’s new works on wood combine broad swaths of paint with trails of ink to create surfaces that impart a sensory-stimulating mixture of movement and stasis, calm and chaos, as they swell and ebb within their space. 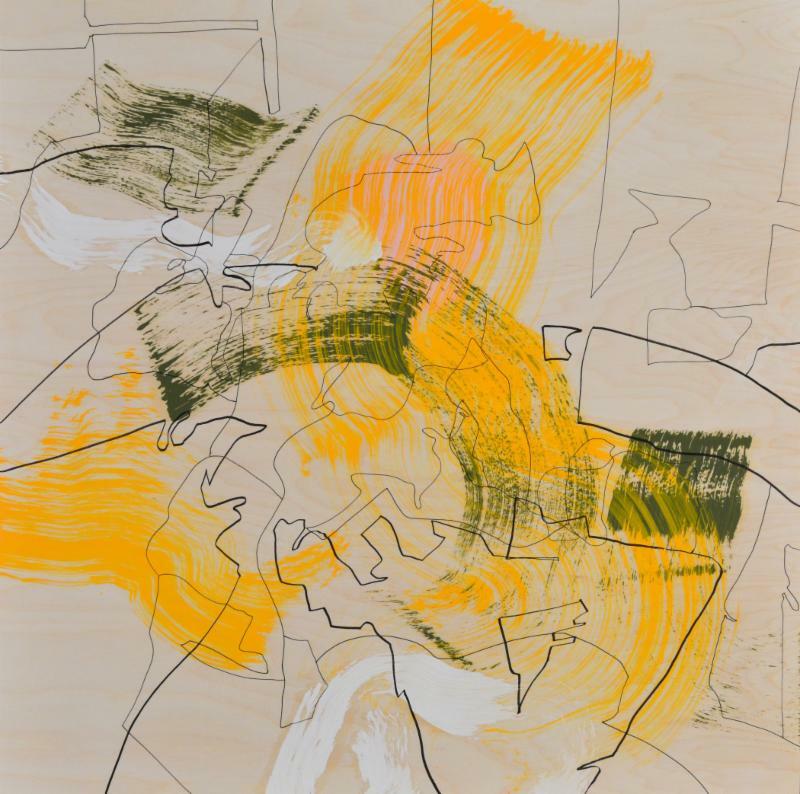 Broad, loose paint strokes dance organically around the space, while contrasting lines of ink meander across the plane with obvious precision. Each composition’s clean, empty background remains easily visible throughout, acting as a visual and mental respite among the random yet systematic surges of energy. 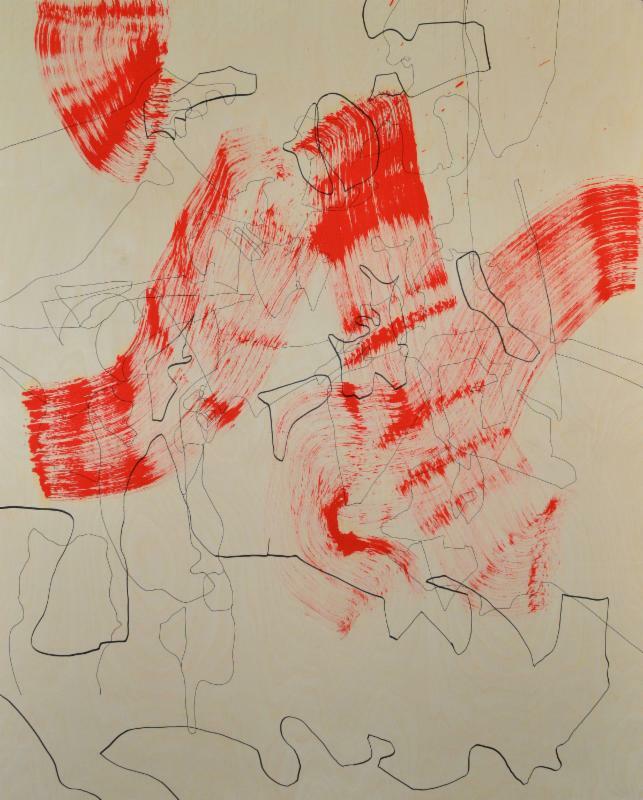 Padgett describes these “managed explosions” of mark making as signifying the “everyday range of emotions” present in all our lives, as well as the “distractions, obligations, and limitations” continuously affecting our existence. across the surface, but also a deeper, intellectual and emotional journey through the mind’s eye. Padgett employs the instant gratification of action painting as both energy releaseand creative voice. Her pieces address what the artist calls the “paradox of nothing and stress at the same time,” and are as much a cultural examination as a personal response to life’s challenges. The expressive abstractions evoke that sense of urgency and frustration, while also, at times, giving way to areas of quiet contemplation. 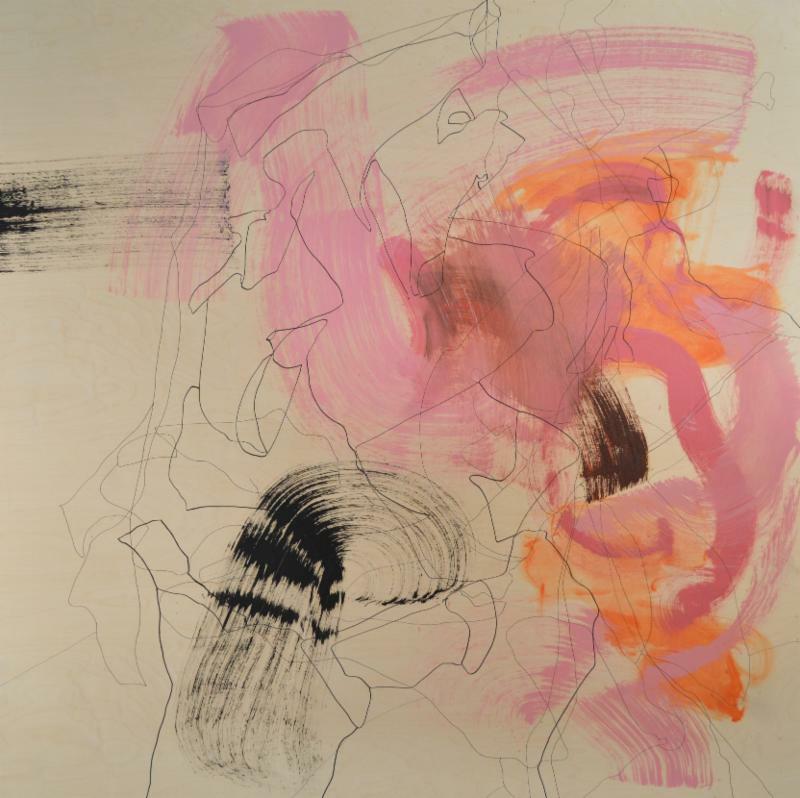 Harmony Padgett has exhibited her work in galleries throughout the Dallas/Fort Worth area, as well as in Houston, Chicago, San Diego, and Kansas City. Her paintings can be found in numerous private, public, and corporate collections, including those of the Art Museum of South Texas in Corpus Christi, Philadelphia’s Drexel University, Portland State University in Oregon, and the Omni and Hyatt Regency hotels. She earned an MFA in painting from TCU in 2010, and received a BFA in painting from the University of Kansas in 1998. Currently a full-time artist, Padgettpreviously taught drawing at TCU.